Fondant icing is a fantastic and fun way to decorate cakes, but it does take some getting used to! 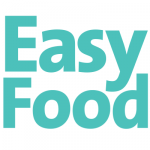 Here’s a few tips from the Easy Food test kitchen to inspire you! While you are learning, it is best to use the ready-to-roll fondant available at cake supply stores. It’s important to have a consistent product to practise on before you can learn to make your own. Store fondant wrapped tightly in a double layer of cling film and sealed within a tub to prevent it from drying out. Store at cool room temperature, but do not refrigerate. It will last for several days. You can make a cake ahead of time and leave it at room temperature for up to four days, but you’ll need to use a cake filling that doesn’t require refrigeration. Invest in the tools. Fondant is easier to work with if you have a silicone mat, rolling pin, and smoother, all available at cake supply shops. Make sure that your surface, rolling pin, and hands are clean and lint-free. Tie back your hair, trim long nails, avoid fuzzy clothing, and remove any bracelets or rings. Use food-safe gloves to keep your hands colour-free. Fondant should be used at room temperature. Only unwrap the piece of fondant you are working on at that moment, as it dries out very quickly and can become unworkable. For best results, spread a thin layer of icing over the cake before applying the fondant; this ‘crumb coat’ will create a tacky surface to which the fondant can stick. Use gel or paste colourings rather than liquid. Add the colour a little at a time, kneading as you go, as it can be difficult to gauge how the icing will look once the colour has been worked through. 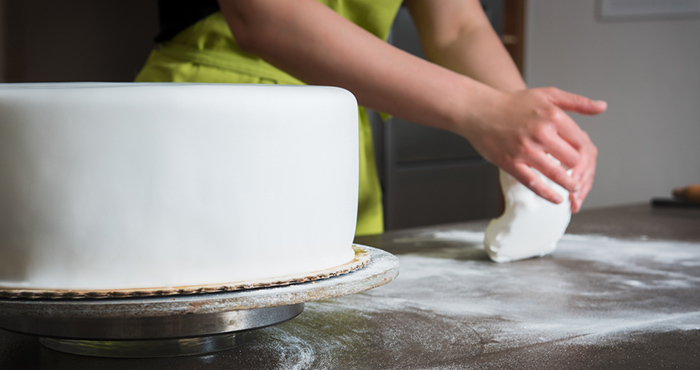 If the fondant starts to become sticky as you knead, lightly dust your work surface with some cornflour. Once the fondant has been coloured and rolled, quickly transfer it to the cake; the time between rolling it out and covering the cake should be no more than five minutes. Place a small amount of fondant in a glass and add a small amount of water, a quarter of a teaspoon at a time. Mix after each water addition until a smooth, toothpaste-like consistency is achieved. This can then be used like a spackle and applied with a palette knife to cover any cracks or imperfections, giving your cake a flawless finish. If you’re ready to work with fondant, we’ve got a tutorial on how to cover a cake with fondant, and then you can follow the links to other Christmas-themed cake toppers too!